Queenswood Music Scholar Danya Rushton (Year 8) is currently enjoying huge success with the celebrated Chineke! Junior Orchestra. Danya auditioned on viola for Chi-chi Nwanoku OBE earlier this year and was delighted to become a member of the orchestra. Her first performance took place at the end of April in the foyer of the newly re-opened Queen Elizabeth Hall, Southbank Centre as part of their Heritage celebration weekend called 'Concrete Dreams'. The concert was conducted by Manoj Kamps and, in addition to other members of Chineke! Juniors, Danya had the amazing privilege of rehearsing and playing alongside Chi-chi Nwanoku and other support mentors from the Senior Chineke! orchestra, as well as a number of musicians from Nigeria taking part in a cultural exchange. This October she is taking part in two prestigious Chineke! Junior Orchestra concerts. On 3 October she was honoured to perform at Kensington Palace (an incredibly exciting experience! ), while on 14 October she will play with the orchestra at Eltham Palace as part of the Eltham Culture Fest. She was thrilled by the opportunity to join the Chineke! Junior orchestra – she first heard of Chineke! 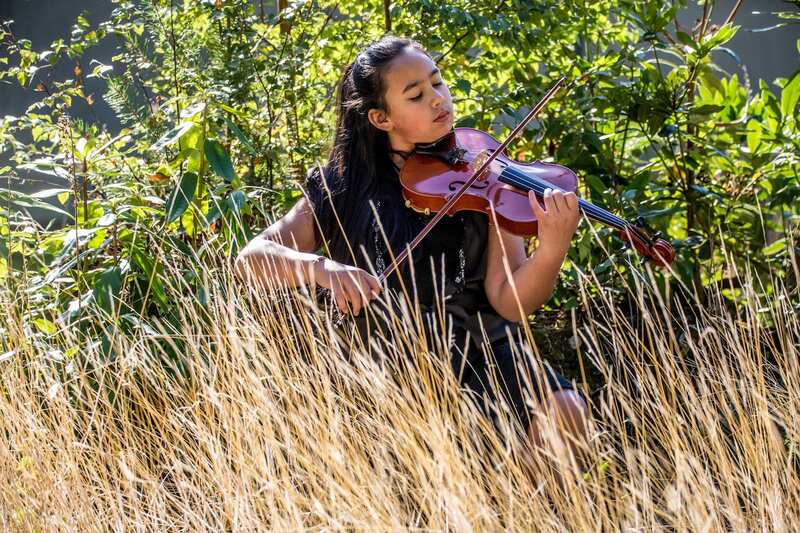 whilst watching this year’s BBC Young Musician Strings Final Category, which mentioned that one of the finalists (Elodie Chousmer-Howells) was a member of the Chineke! orchestra, an orchestra which promotes diversity in classical music. The Chineke! Orchestra encourages everyone, irrespective of their background and age, to enjoy classical music. Danya has really enjoyed the repertoire, learning more about BME composers, meeting other young musicians, being around inspirational role models and getting the chance to play at some amazing venues.